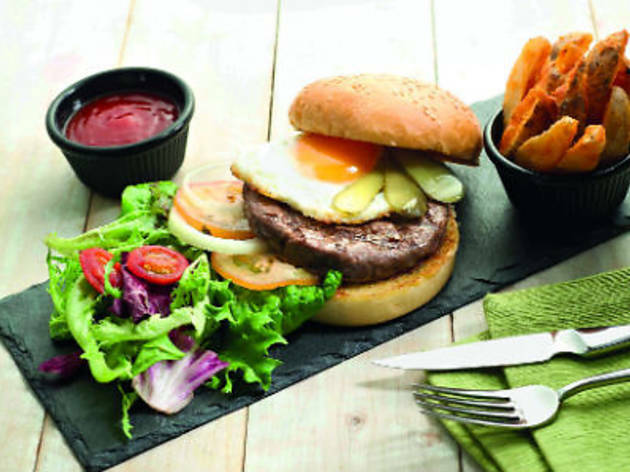 One in the slew of openings at the new Westgate mall in Jurong East (which includes a branch of Tim Ho Wan as well), Eggs & Berries serves American classic fare with premium ingredients. Burgers come with aged beef in its signature E&B Beef and Egg Burger ($13.90), packed alongside a fried egg, onions, tomatoes and mixed greens, and Wagyu adds luxe protein to the Beef and Caprese Burger with Balsamic Reduction ($14.90), best paired with a serving of faddish truffle fries ($9.90) enriched with umami-esque mushroom powder. 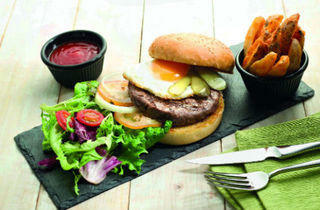 Justifying its name, the café also serves a wide variety of egg and waffle dishes to quell mid-day breakfast cravings.